Confused? Yea, so was I. My parents did not raise their children with analogies so I was stumped. This was a question my very inquisitive boyfriend asked me last night. Boyfriend: "Are you the pig or the chicken????" Me: "Um, I don't get it..."
Boyfriend: "Please tell me you have heard that story? It's been around longer than your mother..."
Ok, so why he asked the question is another story BUT I related it to Real Estate. First off, why the pig and the chicken are hanging out together is beyond me, BUT, apparently they are friends, they occasionally hang out and make great analogies together. It's a beautiful relationship. The chicken casually lays an egg where she wants and then she can fly the coop, move on the next gig, say "Arriba Derchi" my friends and get the heck out of dodge. The chicken can do this WITHOUT any COMMITMENTS or long term OBLIGATIONS while the pig on the other hand makes the ULTIMATE SACRIFICE. So, while the two of them together make a very delicious meal... his is not my point. What does this have to do with Real Estate you ask? Well, I'll tell you. I believe there are two kinds of Realtors in Real Estate - some are PIGS and some are CHICKENS. Agree? Educate themselves so they can educate you! The pigs are committed like crazy! They work for you Full-Time! Real Estate is their main gig! Selling Real Estate pays their mortgage, puts food in their children's mouths, clothes on their backs & hot-tubs in their back yards (oh, maybe a tad too far there). They are COMMITTED - 100% - no doubt about it. And then we come to the chicken realtor. Wah-Wah. Maybe you like chicken, you believe it to be nutritious as well as delicious. That's fine but stay away from the chicken agents is all I am saying to you - you don't have to stay away from chicken itself. What will a chicken realtor do for me you might ask? Do they even have a cell phone to call you back? Do they tell you about every possible home available to you? Or leave out the ones w/less commission? Do they wait to put your home in MLS after taking the listing? Do they truly listen to what you want in your new home? Do they take the time to educate you on the home buying/selling process or rush you through the paperwork and tell you "it's under control"
Good. And, if you are wondering, I am a PIG. I am proud to be a PIG in Real Estate. 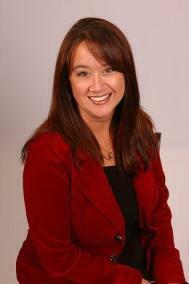 To get more information about a "proud pig realtor" Please visit www.KristinMoran.com .